Chiropractor treatment can help with all sorts of pain treatment such as back pain, scoliosis, bow leg, hunched back and even period/menstrual pain. In this article, I would share the experience I go through and why I chose to go to alternative treatments (preferring chiropractor adjustments) even though in the past my company’s medical benefits would cover for panel treatment. Since the last few years, I have begin visiting chiropractor and TCM doctors to treat the various pain that I have experienced as the result from work stress, flare ups from old injuries and bad posture. I have been to 2 different chiropractor, and the second chiropractor is one who I have been seeing for a few years for my pain treatment. In the past, many of my former colleagues have pain, either back, knee, shoulders and carpal tunnel syndrome. Most of them opted for Western treatment from the doctors because it is covered under our company’s medical care. Sometimes, when the pain gets too severe, such as carpal tunnel syndrome which could not be relieved by painkillers, they opted for operation. I have been to my panel doctor to consult a few times for pain. When I have shoulder pain (posture and stress working often more than 10 hours hunched in front of my computer), knee pain and back pain, I was prescribed muscle relaxants and pain killers! A colleague of mine was given generic glucosamine supplements for her painful knees which she had to stop talking because according to her the supplements made her pain worse. 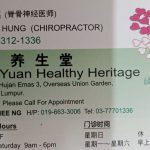 I really wish that chiropractor and TCM treatments are recognized and covered as part of medical benefit/insurance but alas, it is not to be in Malaysia. Nevertheless, it is the treatment that I find to be most effective and I am happy to recommend my chiropractor because each time I have pain, it would be instantly relieved after some chiropractic adjustments. 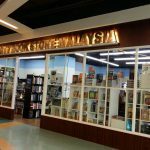 If you cannot speak Mandarin, please call +6019-6633006 (Ranee Ng). Leave a message/Whatapps if no one attended to the call. Before going, you must call to make an appointment. Note: If you have performed knee, hip or any back surgeries, please inform Dr Lo. Chiropractor adjustment is not suited if you already had operation done where you have inserted metal plates. He may be able to treat using other forms of treatment. Dr Lo have treated a number of after stroke patients. Aside from acupuncture, chiropractic adjustments may also help stroke patients to gain better mobility. You may view a simple video that I made to show how the patients regain better mobility after stroke. In the video above, there are 2 persons- a lady who came in immediately on the same day as she had a stroke. The second person, a man who had been on a wheelchair for years due to stroke was able to slowly walk after a series of chiropractor treatment. This strike a chord in me because my dad had passed away from his second stroke attack. 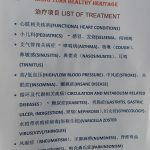 I have been told by some seniors that right after the hospital treatment for stroke,one should follow up with acupuncture treatment or else the second stroke would likely recurr and in a more severe state. Had I know that, I would have forced my dad to go for acupuncture treatment after his first stroke. Dr Lo also showed me before and after picture of two young male patients whom the curvacure of the spine has been greatly improved from treatments. However he cautioned that the treatment takes time and is more costly (during the beginning the patient needs to consistently come in almost daily until the curvacure correction has stabilized). To me, it is better than going for operation because it is very risky and after the operation, if any other condition occurs (such as pain elsewhere), chiropractor adjustments can no longer be applied (for risk of rupturing the bones). 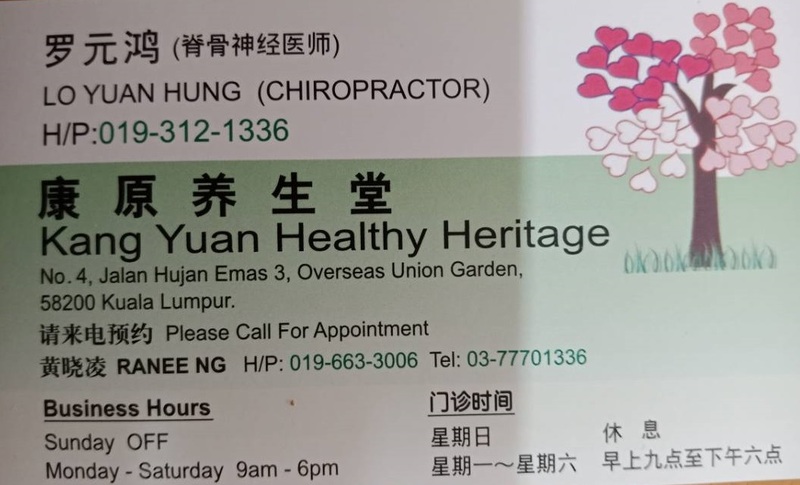 A friend of mine recommended this chiropractor to me as her friend’s mother who had very bad knee pain went to see this chiropractor and after one visit, her knee pain was relieved. That time I had very bad shoulder pain- believe me, between shoulder and lower back pain, shoulder pain is actually worse because I had pain when lifting my hands, turning, driving and typing. I got a little fed up with my panel doctor gave me muscle relaxant and painkillers. After one session, my shoulder pain was literally gone. He did not only work on my back but on my entire spine structure. He did some point massage on my neck which was a little painful. He was able to tell that I do not sleep well for a long time and have lots of dreams, waking up as if I have not slept at all. When I came back that night, I slept soundly for the first time in like almost 20 years. Of course, the effect wears off after a while because such condition requires consistent treatment to be effective. Previously I was seeking treatment with another chiropractor but I often had to wait and needed to go about 2 or 3 times. With Dr Lo, once is all it took for the instant pain relief. And also I could fix appointment on Saturdays. However, Dr Lo had mentioned to me that I should go about once a month for ‘maintenance’ so that I keep my health at optimum levels. Well….. I do get lazy and also a little stingy until the next big pain hits me. Then second time I went (about after 1 year) it was due to plantar facscitis. I had quite severe foot pain that I had difficulty walking- going up a simple step was a challenge. I tried the stretching exercises in YouTube but did not work. So finally I called up for an appointment when I really could not take the pain anymore. Some adjustments with crick crack sounds on my bones here and there….the pain was on my foot but he worked on my entire spine from the neck and head as he said our entire structure is connected as a whole. When we have pain in our foot, the issue is not with the foot but the source of the pain is always elsewhere. He also used vibrational therapy (it is painful). After I got up, the pain was literally gone. I did went back about one more time and the pain was no more. This year, I went to see him twice- January this year for archilles tendonitis as it was getting too painful to walk…. and earlier this month because of lower back and knee pain (ever felt as if your backbone is so painful that it wanted to snap? I had pain even when I wanted to bend down to pick up something). My problems came as the result of caregiver injury- few times I had to lift my mom upand I ended up aggravating old injuries. Just one treatment and my pain was instantly relieved. However, you must be tolerant as during his treatment especially when he uses a vibrational equipment it could get painful when he realigned back the posture. If you have low tolerance to pain, his treatment center also offer other alternatives such as tui na and acupuncture which could relief your pain. Two weeks ago, my mom had a fall which result in progressive pain as the day goes on. 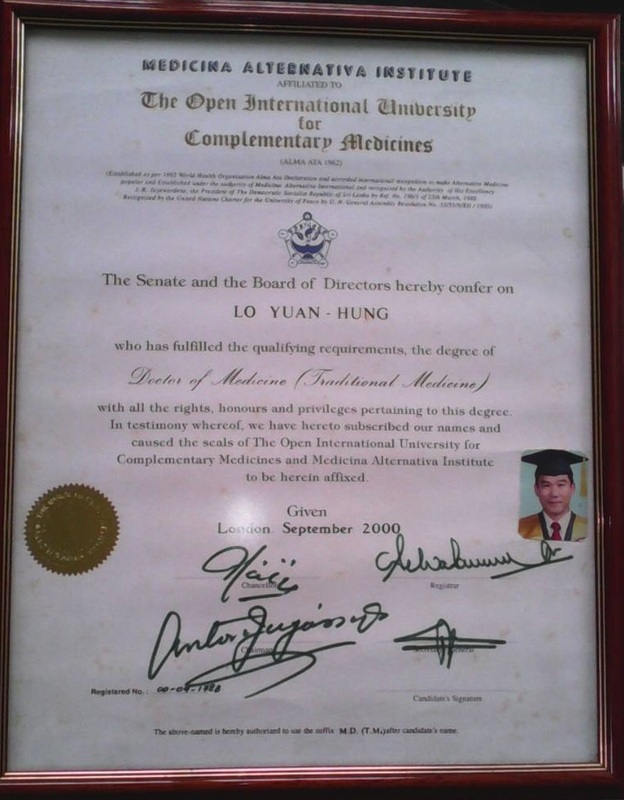 My mom is too weak for chiropractor adjustments so Dr Lo got another TCM doctor, Dr Zhuang uses combination of tuina, acucupping, treatment with blended ginger and acupuncture on her knees (my mom also have bow legs). After the treatment, my mom could at least manage to walk without sharp piercing pain. Last year when my mom had the fall, we went to the hospital….my mom waited through with agonizing pain only to be told by doctor there was nothing they could do. That time I took my mom to another TCM doctor who relieved her pain through acupuncture. Important: If a fall result in bone fracture or broken bone, the pain is very severe that the person cannot even move at all. In this instance, one need to call an ambulance to take the person to the hospital. Also another disclaimer: Sometimes the pain can get worse before it gets better– read this post. I wish to state that this is not a paid review as with my more than 10 years as a blogger, I never did a single paid review. 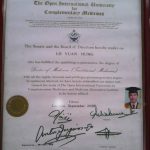 Dr Lo is a chiropractor who I go to for treatment for painful conditions as aside from pure chiropractor adjustment, he also uses other forms of treatment to compliment his treatment). 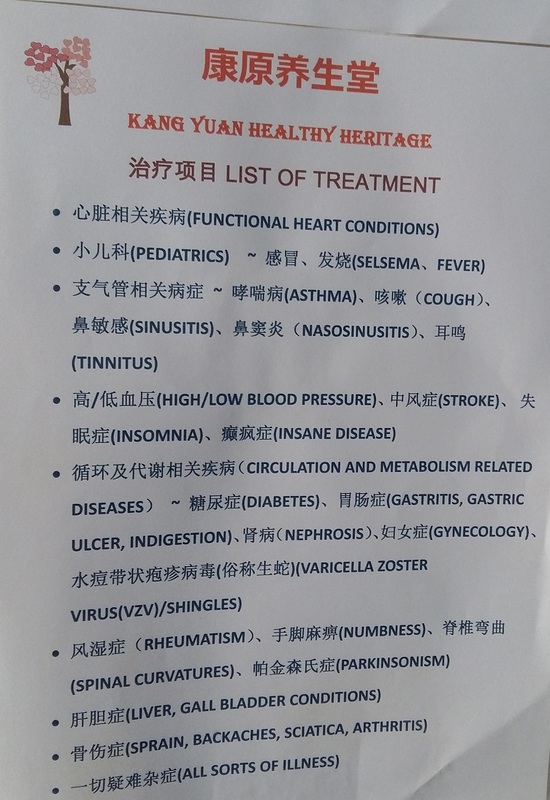 If I go to other TCM doctors, generally they would prescribe Chinese herbal medicine with the acupuncture treatment in order for the treatment to be effective. 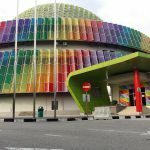 I had to ‘pantang makan’, eg stay away from a lot of my favourite foods while taking the bitter concuctions which I often ended up not completing. Dr Lo does not require me to take any herbal medicine or have any food restriction. The only thing he advised me to stay away from is pulut (glutinous rice which you can find in loh mai kai, lemang and bak chang). I also find him to be honest person – if he cannot help, he will be upfront with it rather than making empty promises. I hope that through sharing about this chiropractor, it can benefit those who are in pain and wish to find away out of their pain. Per treatment, the cost is RM120 or above depending on the severity. 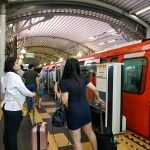 But for me, often one treatment is good enough for pain relief until bad posture and sprain from my activities of daily living give another set of problem. Also, he treats from the head down to toes- and if you have other accompanying condition which you felt may not be related, do let him know as he may be able to help such as sinus, digestive issue, urinary incontinence, heavy menstrual flow/pain. All these conditions are due to blockages accumulated at certain parts of your body and once cleared off, you can find instead relief….and that is together with the pain treatment. If you go to your panel doctor it is free but you know deep down that painkillers and muscle relaxants are not the real cure. These only mask the symptoms but does not solve the real root cause such as wrong posture resulting in impingement of your nerves and/or structural weaknesses resulting in susceptibility of falls/injuries.